iPhone Text Messages and iMessages Disappeared, How to Get Back? iPhone text messages or iMessages disappeared after restart, update or sync? Read on to know why messages disappeared. 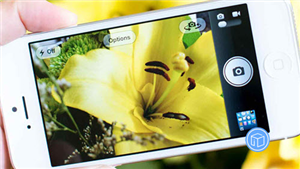 And get some potential methods to retrieve them back to your iPhone. I found my iPhone messages disappeared after update to iOS 12, lost some important text messages from my girlfriend. I’ve tried some fixes, hard restart my iPhone, reset network setting and turn iMessages on/off, but still cannot get back the missing messages and attached pictures. Why did my messages disappeared, and is there some method to fix this iPhone message issue? 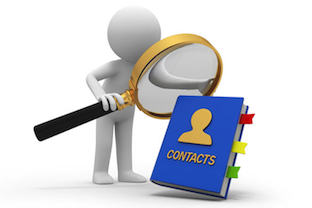 You may also get into the similar trouble, and all or a part of your text messages disappeared from your iPhone. This may happen after an iOS update, device restart, or after an iCloud sync. 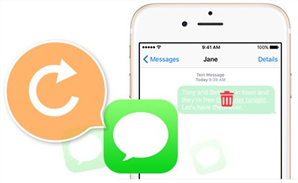 Don’t worry, this post will tell you why your messages disappeared and give you some potential methods to get back your message conversations, whether the iMessages or just SMS Texts. Why Did My Messages Disappear from iPhone or iPad? 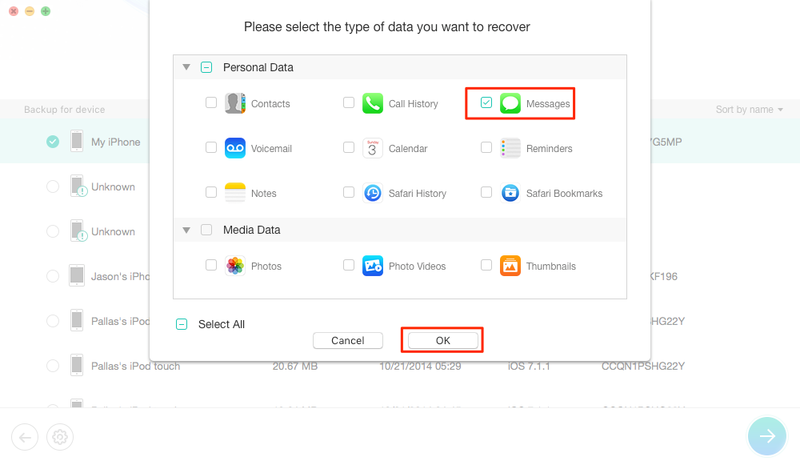 How to Get Back Disappeared Messages from iCloud? How to Get Back Disappeared from iTunes Backup? Why Did My Messages Disappear from iPhone iPad? 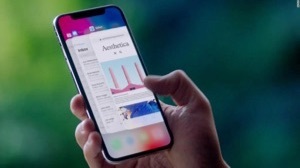 All the users who are stuck on the problem of messages disappeared from iPhone claimed that they didn’t delete any iPhone message manually, and the text messages and iMessages disappeared accidentally after some operations, such as updating to iOS 12, restarting or syncing to iTunes or iCloud. So why did the text messages disappear? 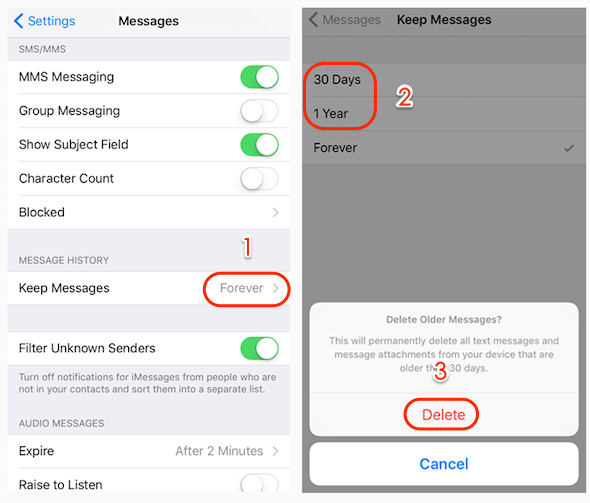 If you set your iPhone to keep messages in 30 days or 1 year, your iPhone won’t keep the messages forever and will deleted the messages by itself after the deadline. Therefore, some messages disappeared. In this situation, the erased messages will be gone forever from your iPhone, and the only way to get back your messages is getting some backup extracting apps to view whether there are some lost messages stored in your iPhone backup in iTunes or iCloud. 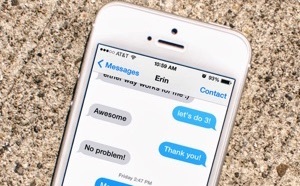 iPhone Erased Text Messages Automatically – Why Messages Disappeared? If you are are turning on Cloud Sync for Messages app, your messages may not be loaded when the iCloud server goes down. Surely, iCloud server issue will also make you fail to restore messages from iCloud backup to your iPhone. 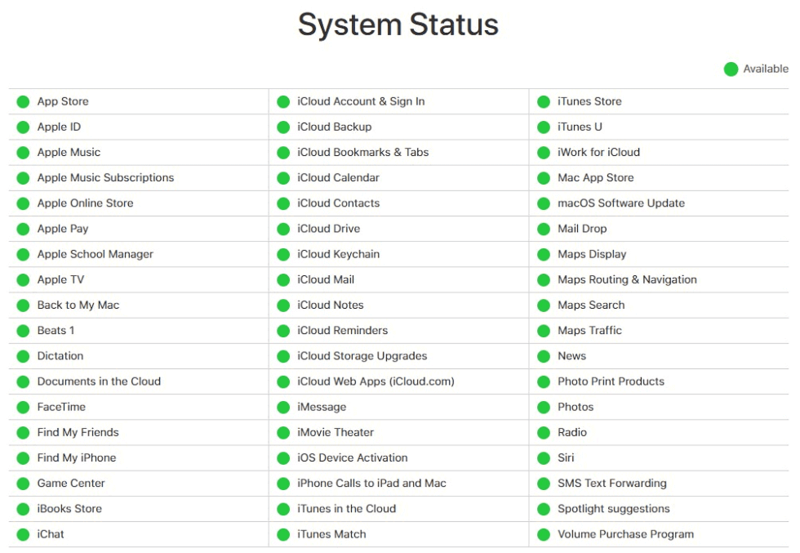 And you can check the iCloud server status to know whether it’s the issue of server. If your found your messages disappeared from iPhone, you can check whether you have backed up your iPhone to iCloud via Settings > Apple ID > iCloud > iCloud Backup. 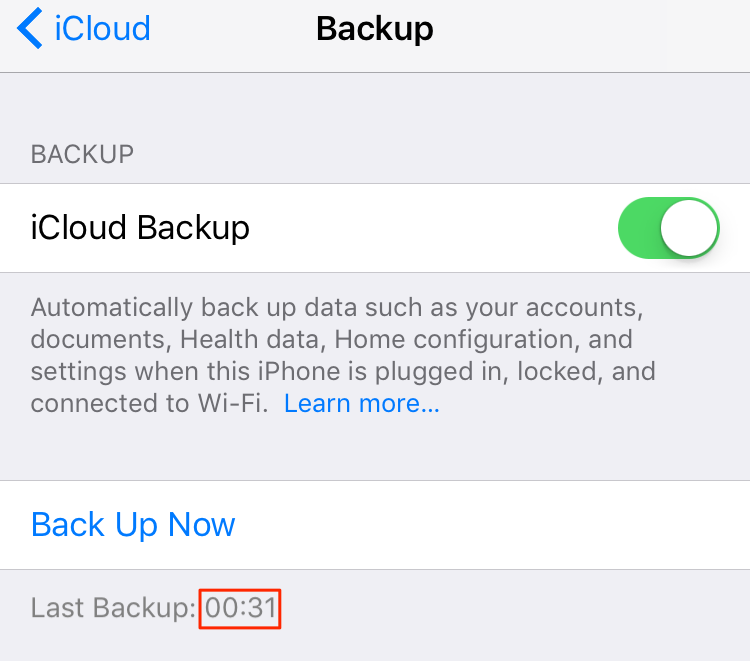 If you have backed up your device before, and the messages were disappeared after last backup time, you are able to get back your missing messages from iCloud backup. But you should immediately disabled iCloud auto backup for preventing another backup to auto replace the messages on your iCloud backup. 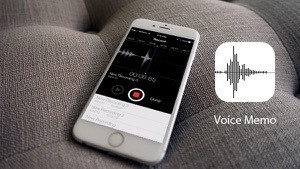 Next, follow us to use PhoneRescue for iOS to extract only the message conversations back to your iPhone. 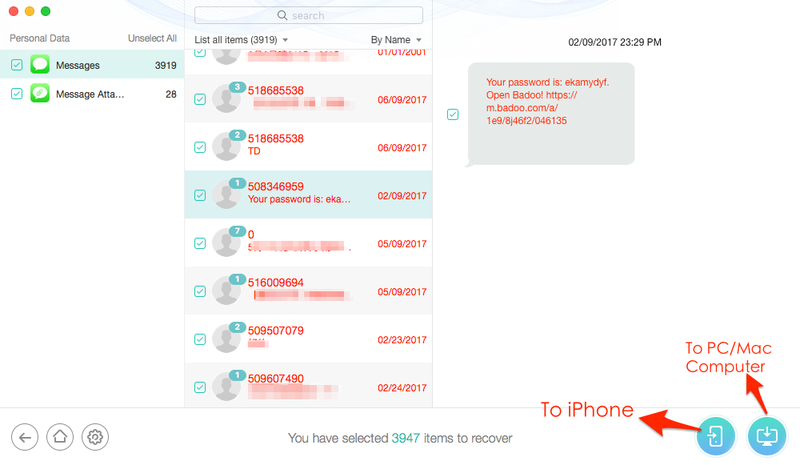 (PhoneRescue can be taken as one of best iPhone backup extractor to access, preview and extract text messages and iMessages on iCloud backup without restoring your iPhone). Step 1 Download PhoneRescue to computer, install and launch it. Step 2 Connect your iPhone to the computer > Select Recover from iCloud mode > Click Right Arrow to continue. 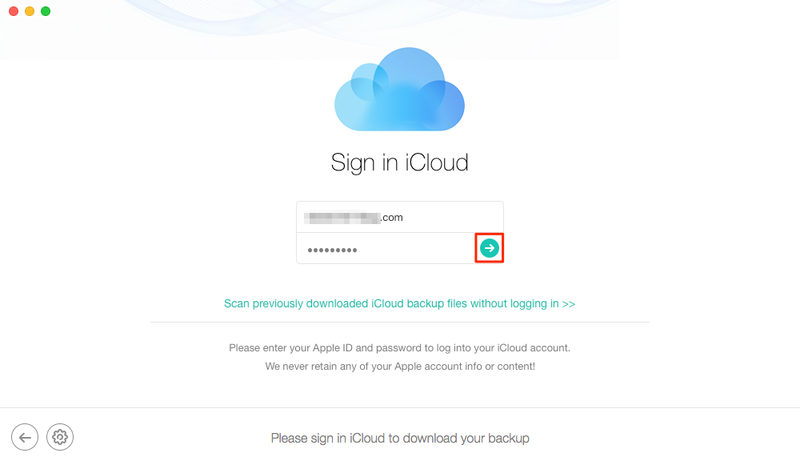 Step 3 Sign in iCloud with your Apple ID and password > Click button to access contents on iCloud and iCloud backup. Step 4 Select the backup possible contains the messages you want to retrieve > Click Download button > Select Messages category > Click OK button. Step 5 Preview the messages and messages attachments backed up in iCloud backup. 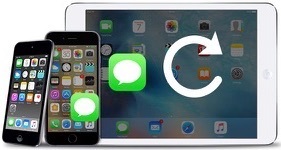 If you find the deleted, missing or disappeared messages in iCloud backup, click To iPhone button to get the selected messages back to iPhone’s Messages App directly, or To Computer button to export them to PC or Mac computer. 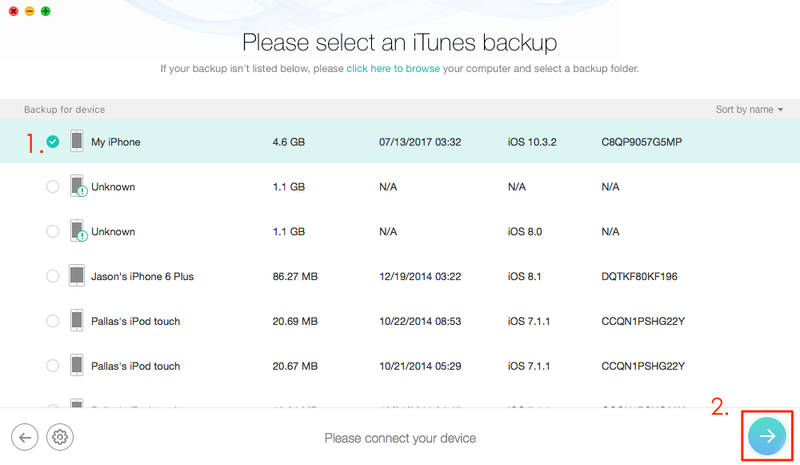 If you didn’t find your disappeared messages in the first iCloud backup, you can do these steps again to scan another iCloud backup and find the missing messages. 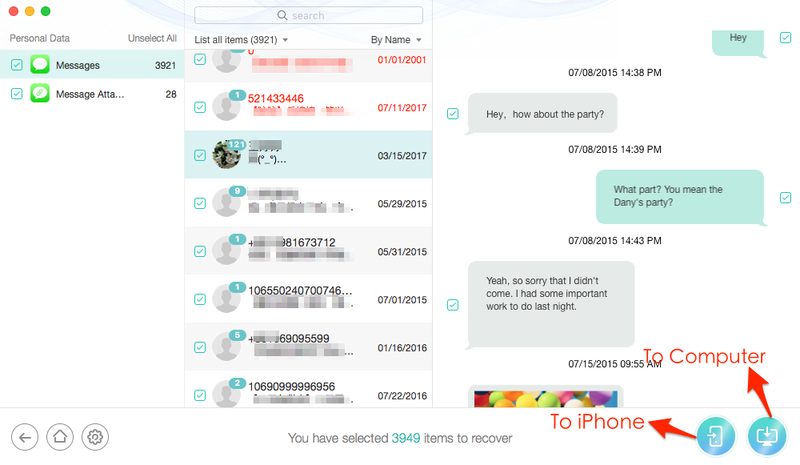 After trying these, if you still fail to find the deleted iPhone messages, you can try the next method below. 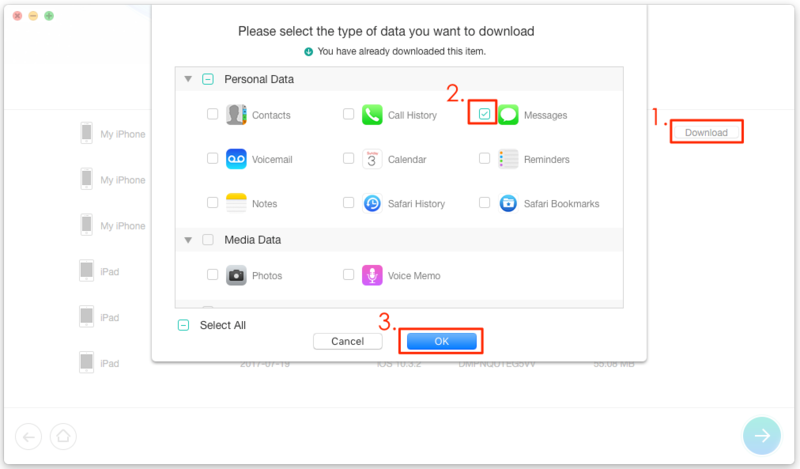 However, before restore, you can’t preview the message conversations on iTunes backup, so you may restore a wrong backup to your device, which is dangerous. 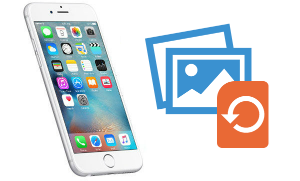 Therefore, to help you preview whether there are some messages you can restore, here we will also use PhoneRescue for iOS to preview and recover messages to your iPhone. Step 1 Download PhoneRescue to computer > Install and run it. 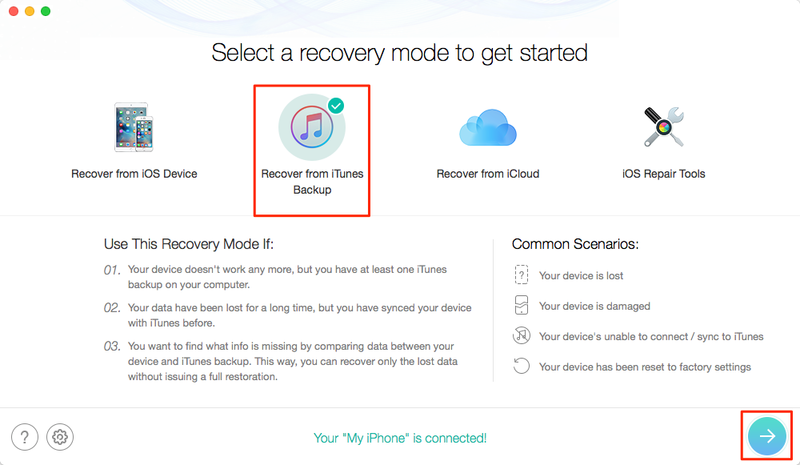 Step 2 Connect your device to the computer > Choose Recover from iTunes Backup mode > Click Right Arrow to continue. Step 3 Select the backup you plan to restore, click button to scan this backup. Step 4 Select Messages and other types of iOS content you want to preview, and click OK to scan your iTunes backup. Step 5 Preview the messages and attachments in the iTunes backup, if you are sure the deleted or missing messages are included in this backup, you can click To iPhone button to restore selected messages back to iPhone’s Messages App directly, or click To Computer button to export selected messages to computer. If you fail to find deleted messages in the first iTunes backup, you can repeat the steps above to scan another iTunes backup, or try the methods followed. It’s hard to get back your lost messages if you haven’t created any iPhone backup. But it doesn’t mean there is no way to do that. 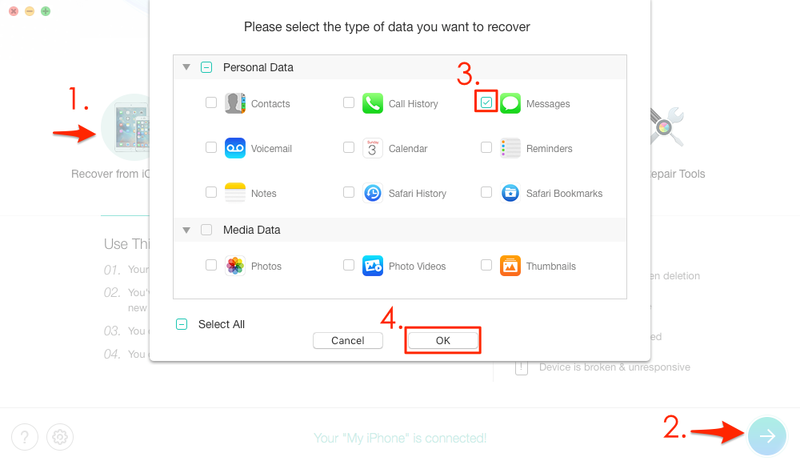 In fact, you still have chance to get back lost data even if you no backup, but you have to use some professional iPhone data recovery apps like PhoneRescue for iOS, which can scan your iPhone to find all hidden data on your device (only if they have not overwritten), and allow you to preview the lost messages for recovering them back to your iPhone. Follow us to get back disappeared or missing iPhone messages with PhoneRescue. Step 1 Download Free Trial of PhoneRescue on computer > Launch it. Step 2 Connect your iPhone to the computer > Click Recover from iOS Device mode > Click on Right Arrow to proceed. Step 3 Preview the deleted/missing messages or messages attachments on your iPhone > Select the messages you want to recover > Click To iPhone or To Computer button to restore them. To iPhone button will help you restore deleted messages directly back to iPhone’s Message App, and To Computer button will help you export disappeared messages to PC/Mac computer. We’ve talked about why messages disappearing and how to find back the missing messages from your iPhone. Then next, you are suggested to do something to avoid this happen again, preventing messages from automatic deletion or missing without reasons. If you got your iPhone messages disappeared or missing this time, due to you did update your iPhone to new iOS, like iOS 12 or iOS 11, restore your iPhone, or make a sync with iTunes. 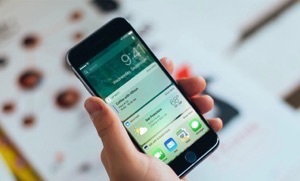 Without doubt, next time when you plan to perform these on your iPhone, make a full backup of your iPhone firstly, or regularly back up your iPhone messages to computer for backup. These backups will be a great helper when necessary. 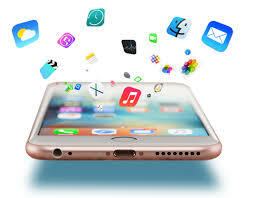 Except restoring, syncing or updating will make your iPhone messages disappeared, some other inexplicable reasons also can lead to this problem. For example, one of our users told us, he just restarted his iPhone, and then all his messages disappeared from iPhone. He didn’t know why, we also can’t explain what makes it happen. This situation is not rare, and other strange reasons that we haven’t seen may also make you lose iPhone messages. To prevent any unexpected data loss, we strongly suggest that you should back up your iPhone regularly, and back up your iPhone with iTunes and iCloud, instead of either of them. By the way, turn on iCloud Back Up, it will backup your iPhone automatically when it is connected to Wi-Fi and power source. It would be a disaster that messages disappearing from iPhone, no matter iPhone X/8/7/6/6s/SE or 5/5s/4/4s, especially when the message conversations contain some important and valuable information, such as password and treasure family videos. 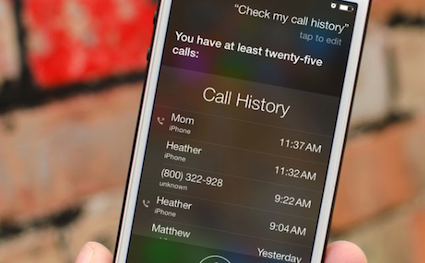 So, act fast once you found your iPhone messages/iMessage disappeared. And as you can see from above.